I actually don't want one of these, which is surprising since it's '80s and kitsch. 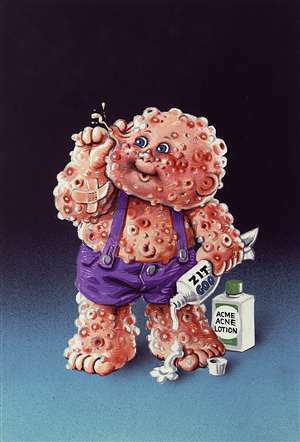 However, I find this to be gross: Garbage Pail Kids wall decals. I mean, who wouldn't want Corroded Carl on their dining room wall, right? Although do check out their website. Their collection of vintage posters and Mars Attacks stuff is pretty rad.